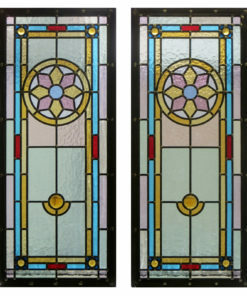 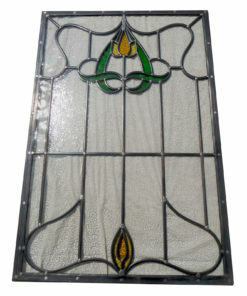 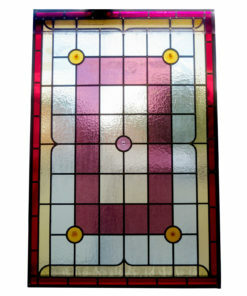 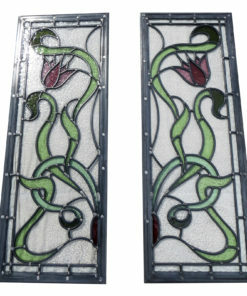 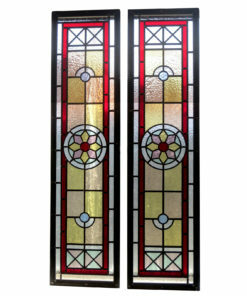 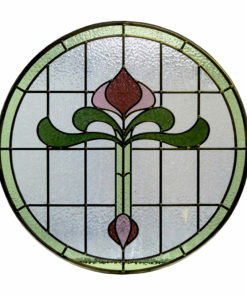 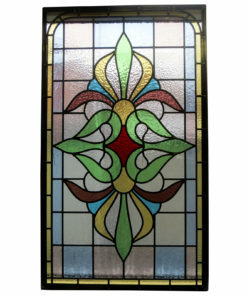 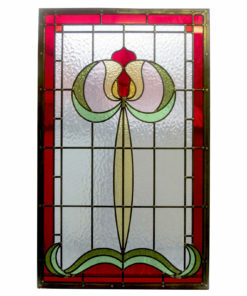 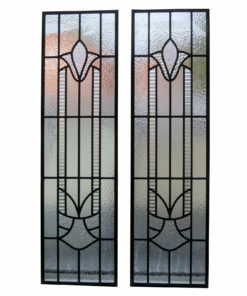 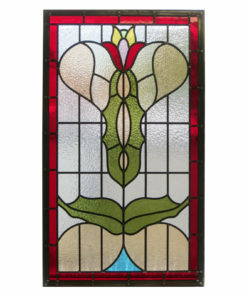 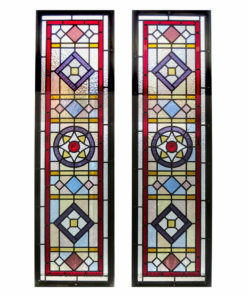 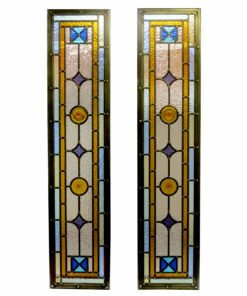 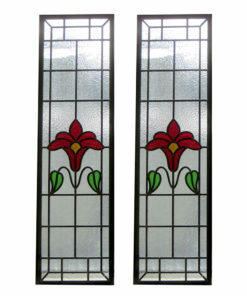 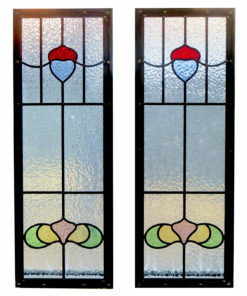 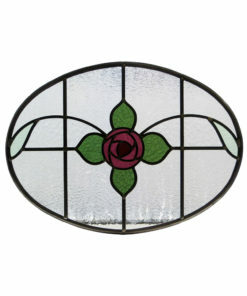 Victorian glass designs can be found in houses built all through the Victorian and well into the Edwardian period. 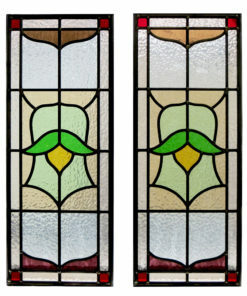 The designs can be split into three distinct contrasting areas. 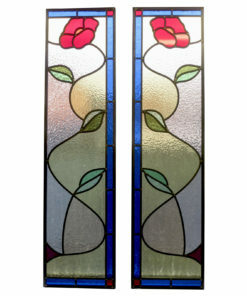 Borders, background and features. 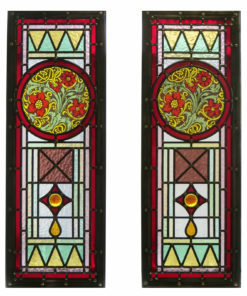 The Victorian style often had a heavy design full of colourful geometric arrangements and floral patterns.